Tagliatelle and tagliolini (from the Italian tagliare, meaning "to cut") are the classic pasta of the Emilia-Romagna region of Italy. Individual pieces of tagliatelle are long, flat ribbons that are similar in shape to fettuccine and are typically about 0.65 cm to 1 cm (0.25 to 0.375 inches) wide. Tagliatelle can be served with a variety of sauces, though the classic is a meat sauce or Bolognese sauce. 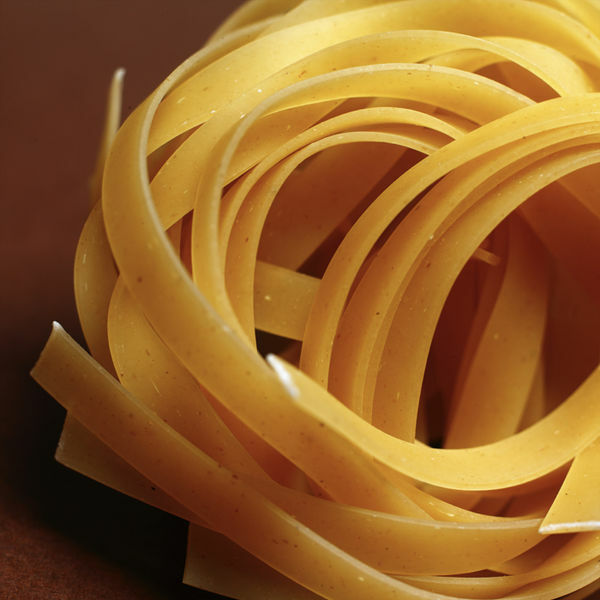 Tagliolini is another variety of tagliatelle that is long and cylindrical in shape, not long and flat.